Make your business grow by extending your Magento store with Cart2Quote, the essential Business to Business extention. Compare our Cart2Quote versions. Start your free trial today! The subscription plans deliver the exact same software as the one-off priced products. The only difference is the payment schedule. Prices shown are billed annually. For prices billed month-to-month, visit the productpages. Customers can convert their shopping cart items directly to quote. This is a practical feature which will benefit customers who are looking to request a quote for items which are already in their shopping cart. This saves the customer from having to manually reconstruct precisely the same catalog of products in their quote as is in their cart. Assign an existing customer, or create a new customer to assign to an existing quote. The original customer in quote is replaced. Comes in handy when you have duplicated a quote and want to resend an earlier quote to another customer. Select item(s) from the quotation and duplicate to the same quote. An extra, configurable product line is created for the same product. Here you can select quantity, edit custom price for quotation, apply discounts, etc. Select quote(s) to duplicate and create an exact, independently configurable copy of a previously created quote. This feature can be used effectively in combination with the 'Re-Assign quote' customer function. The store owner is enabled to copy any quote and link it to any new or existing customer. Change the related customer's billing details from existing quote request. Should the customer notify you of a change in address, you can now configure this change directly from the admin quotation view. Want to create an orderly quote with multiple sections. This feature allows for subdividing a quote into numerous sections/divisions. It further allows for items to appear under 2 or more sections within a quote and to reorder items within a section or move them over to other sections using a drag and drop method. The quote will be visible with the ordered subdivisions as Proposal PDF in the customer dashboard and the proposal email. Customer can send and receive messages from the quotation view directly to the store admin. Admin can send and receive messages from the quotation view directly to the customer. Your question not listed below? Please contact us if you have any further enquiries. What´s involved in the installation? 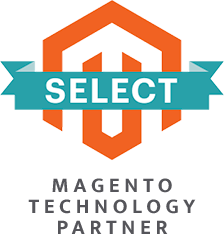 It is strongly recommended to let the module be installed by a technical implementer if you do not have the necessary knowledge of Magento modules installations. 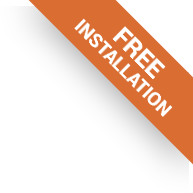 Visit our documentation center and download our InstallationGuide to see what's involved. You can quickly and easily renew your license at € 200 off the normal pricing within one year of your original license expiration date. More information. Will my extension stop working if my license expires? Nope, if your license expires your extension will still work, however you will no longer have access to updates and support and can no longer request extra development domains. Yes. Cart2Quote Licenses are permanent and will never expire. There is no annual fee. Your License key is tied to your Magento backend URL. View our Cart2Quote licensing information page, for more information. Do you offer an open source version? Yes, we do. The open source version is an option under our Enterprise Editions for both Magento 1 and Magento 2. Visit the Cart2Quote Enterprise product pages for more information. The open source option is only available when ordering the one-off priced software. An original equipment manufacturer, or OEM, manufactures products or components that are purchased by another company and retailed under that purchasing company's brand name. OEM refers to the company that originally manufactured the product. The Cart2Quote OEM product is developed for companies that have included Cart2Quote's (functionality) in their product. Selling it white label to their customers in the form of, i.e., a Magento template that can be purchased via their website or a diversity of marketplaces. If you are interested in this product, contact us. 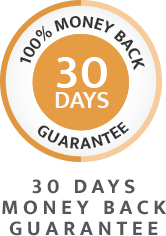 We’re so confident you will love our products, we offer a 30 day, money back guarantee if the extension fails to work and we are unable to fix it. If you required an installation and/or custom work, we will deduct this amount from your refund. Learn more about our refund policy. How do I upgrade my Cart2Quote edition? If you are using the free version and decide to upgrade and enable more features of Cart2Quote, you do not have to reinstall the module. Just enter a license key into the backend. The same is true for other upgrades from one version to another. Visit the upgrade page for more information. Depending on the Cart2Quote edition you purchased you have received a certain amount of months of free updates. View the comparison table above to see the applicable period of free updates for your edition. If your trial ends before you purchased a paid product, Cart2Quote will degrade to the free version. Your data will remain intact, and your customers can still submit new requests, but you can no longer process them via the admin panel until you order one of the paid Cart2Quote editions. Will Cart2Quote be compatible with my theme? Cart2Quote will be out-of-the-box compatible for Magento themes based on the RWD and base themes. For all other themes some adjustments may be needed to make it fully compatible. 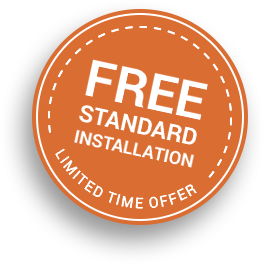 For more information on installing Cart2Quote, please read through our documentation. If you would need help to make Cart2Quote compatible with your theme, we suggest you purchase a Theme Integration. Customize Cart2Quote for my specific needs? Yes, we can, and we would be happy to. We love to make Cart2Quote a perfect fit for your business. We have multiple user cases of customizations and testimonials of happy customers that trusted us to customize their Magento web shop. Visit our Magento customizations page for more information. Cart2Quote currently runs on more than 6000 different store configurations and limiting possible module conflicts is important to us. However, the most common compatibility issues at the moment are modules relating to SMTP modifications and Ajax extensions. Any subscription plan renews automatically. If you don’t want to be billed, cancel your subscription until the expiration date otherwise the system will bill your card or Paypal account automatically. Do you give an opportunity to pay for any annual plan month by month? There are both monthly and annual types available on Cart2Quote. You are free to select the type you wish. If you want to pay month by month you have to select one of the monthly plans because for annual plans you need to pay upfront. Can I upgrade my current plan whenever I wish? You can change your current plan and upgrade at any time to any plan you prefer. For more details and instructions contact us. Can I cancel my subscription plan whenever I wish? Yes, our plans can be cancelled on a month by month basis when this option is selected or on a yearly basis when billed annually. Contact us when you want to cancel your subscription. Are there any differences between in the software when ordering the one-off price of when subscribing? No, the exact same software will be delivered to you. Both versions are self-hosted. However if you require the open source version of Cart2Quote, you will have to select the one-off pricing as this version is not available as a subscription service. When you purchase an extension with a one-off price, you can use it perpetually. Your license also comes with a free update subscription and Cart2Quote support for a limited period. After the free update subscription period, you can choose to extend the update subscription for another year for a discounted price. If you chose not to extend your update cycle, the Cart2Quote software will still function without interruption. When you subscribe to one of our plans with a month-to-month billing of an annual billing cycle, the software remains activated as long as the subscription is active. If the subscription is canceled the Cart2Quote subscription will be terminated at the end of the current billing cycle and your Paypal account or credit card will not be charged again. No credit is offered for canceling an account prior to the end of a billing cycle. We accept Visa, Mastercard, and American Express through our online payment system (Paypal). If you would like to prepay with a bank transfer, you can select "Pay with an invoice" or pay with iDeal (Netherlands only). You can select these options during the checkout. We are dedicated to improving this quotation module every day. 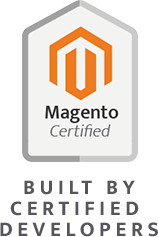 Our goal is unchanged: creating a complete Magento quotation module. We release a new version of Cart2Quote about every month. Visit our Release Notes for more information. Not2Order is our Magento module that works seamless together with Cart2Quote. This module enables you to manage the visibility of order buttons and prices on a product per product basis and/or per customer group. Visit the Not2order product page. Our Corporate version comes with phone support. All other products come with online support. This helps us keep detailed records about your issue in one place. Nothing is lost in translation between advisors or if we need to escalate an issue to engineers. Customer Quotations Extension for Magento, easy, complete and skyrocketing your sales. Start my 30-day free trial!